It’s not always that you meet someone who combines two highly contrasting streams to bring out the best in people. On one hand, she conducts training for legal professionals while on the other, she is into alternative therapies and healing. Interesting, isn’t it? 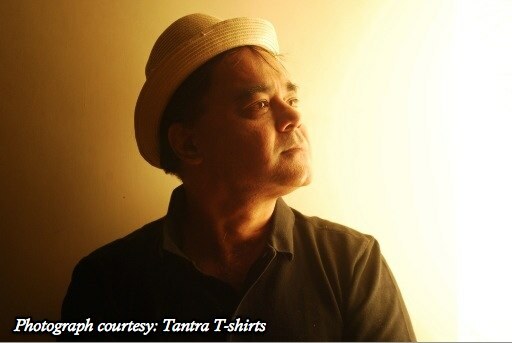 The Lifestyle Portal in conversation with Pune-based Adv. Ritu Agwekar, about her entrepreneurial journey of founding two initiatives TheSylf and Juriseye with the aim of empowering people. Ritu holds a bachelor’s degree in Commerce and a Degree in Law from the prestigious ILS Law College in Pune. A lawyer by profession with 22 years of experience, Ritu’s expertise lie in Real Estate, Corporate and Commercial Transactions. Currently, she is the Head of Pune Operations of Law Point, Advocates and Solicitors, a Mumbai-based law firm. 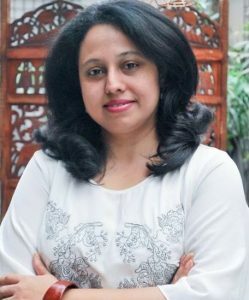 She started her entrepreneurial journey with Juriseye, for the Legal Services in the year 2008; in fact, her independent law practice was under that name. Ritu then joined Law Point in 2010, following which in 2015, TheSylf came into being. Juriseye- Legal Trainings and Placements is a recent development, which she launched as early as in 2018. Being a people’s person, Ritu has always been inclined towards empowering them and making them realise their own worth. Her vast experience as a lawyer has given her an edge over many human attributes and an insight into their behaviour – either with one other or with themselves. “This predominantly has been the main reason why TheSylf and Juriseye happened. Although I conduct training for both the brands, what makes these two different from each other is the nature of the audience I cater to,” says Ritu. TheSylf has two wings – TheSylf: Trainings, which includes training for the corporate, mixed audience and individuals; and TheSylf: Wellness, which offers Pranic Healing, Pranic Psychotherapy, Crystal Healing and Therapeutic Hypnosis, a holistic way to a healthy life. The wellness branch compliments the training and also offers a complete package of mind-body balance. Ritu is a firm believer that to build something substantial, one needs to give it time. Since training is more of a passion for her, she is not being aggressive but letting it grow organically. In fact, for Ritu, her 22 years of relentless hard work in her profession has been an investment. 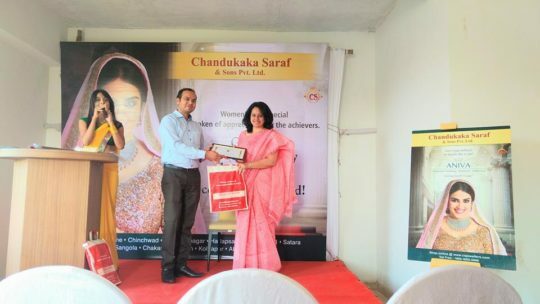 “As I have mentioned before, both these ventures were started purely out of a passion for connecting with more people and empowering them, so I wouldn’t really be able to bracket it in challenges faced,” smiles Ritu. However, one of the significant challenges she often faces is when people don’t admit that something will really benefit them. In fact, she feels that sometimes she knows that with a little hand holding, that individual would be able to overcome their obstacle; and convincing them is the hardest part. (b) TheSylf- Wellness: Ritu is an Advanced Pranic Healer, Pranic Psychotherapist, a Crystal Healer and a Therapeutic Hypnotist and Pranic healing is an Energy based form of curative therapy, which is a no Touch, no Medicine Therapy and can cure almost all types of ailments and diseases, including Psychosomatic Disorders. Adv. Ritu Agwekar with AMs Realty Pvt. Ltd, Pune. Juriseye Legal Trainings and Placements Services, as the name suggests, is into training for lawyers, as also for other professionals mainly, CAs and CS and placements. From corporate to individuals, business owners and professionals, Ritu has conducted training for all. She has also worked with AMs Realty Pvt. Ltd., Cybage (with Cedarwood – Afterschool, am also an Associate Teacher with them), LIC of India and lawyers. What makes Juriseye & TheSylf unique? According to Ritu, what makes Juriseye & TheSylf stand out from the crowd is that it is backed by her 22 years of legal experience, hands-on knowledge of not only the legal domain but also of other industries as well. “It’s leading by example, human understanding and relatability, which are the core elements that are incorporated into my training, coaching and mentoring programs. The best part being, all my programs are based on one on one relationship with each participant. 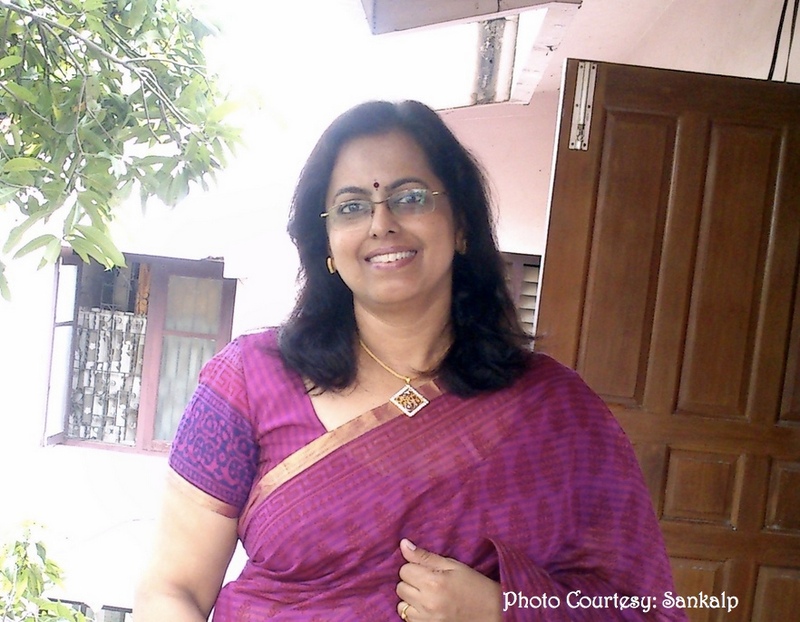 All of these put together make the learning more deep-rooted and long-lasting,” explains Ritu. Ritu’s future plans entail to widen the reach, to reach even the remotest areas so that everyone can derive the best out of her programs. “It’s endeavour to offer a combined benefit of training with the holistic approach to the masses so that they can lead more fulfilling and happier lives. 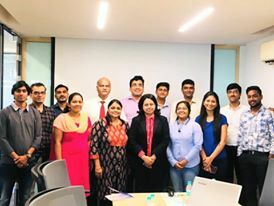 As far as Juriseye Legal Trainings is concerned, the intent is to revive my fraternity and work towards making them aware of the various avenues to be explored as per their individual strengths and flair,” adds Ritu. Identify your own path and follow your instincts. Know your strengths and harness them. Enjoy the journeys, for there lies the actual fun; destinations are known. To each, its own, should be the mantra, celebrate your uniqueness. Most importantly, never measure success; it’s a relative concept. Sankalp – A Creative Purpose!